Finished my pizza, then I finished wiring. Decided to pull hot juice directly from the battery... the PO sort of did some wiring of their own, and this was the only way I could be sure I wouldn’t be electrocuted. The vintage Utility fog light switch has its own fuse (which is rated at 25 amps for some reason, despite originally only being intended for two weak 35 watt fogs) but I didn’t feel comfortable running such a long wire from the battery, through the firewall and to the switch without a fuse in between. 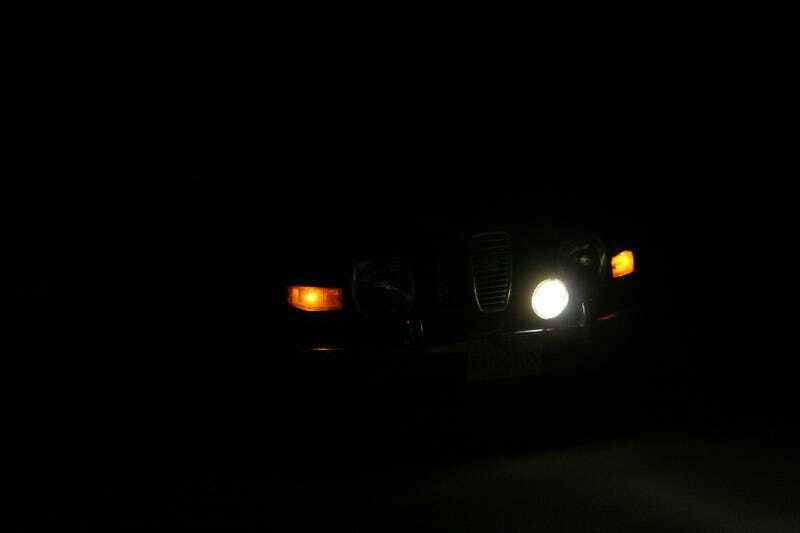 Surprisingly the beam isn’t that much wider than the normal low beam, but I suppose it should function with less glare than the low beams. I do have to fine tune the aim a bit, but surprisingly got very close just were it was when I mounted it.